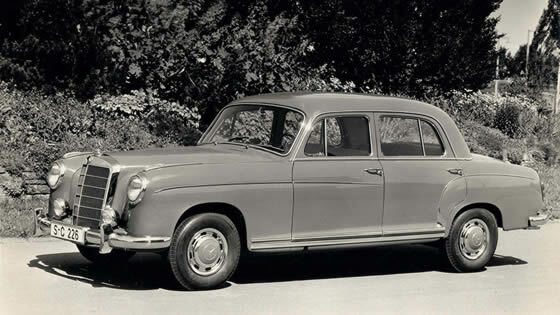 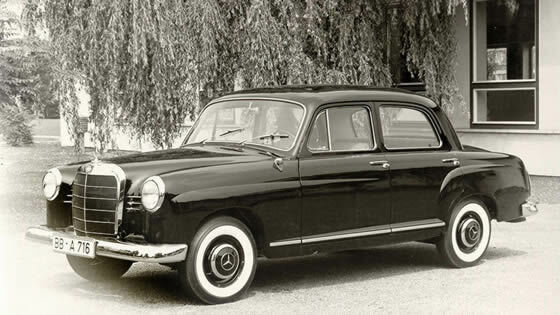 From 1953, the Daimler-Benz AG presented with the W120 the first Mercedes-Benz with self-supporting car body. 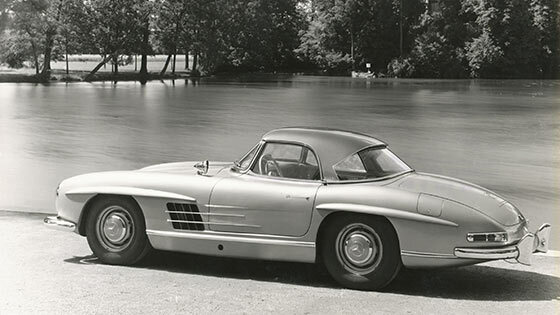 The streamlined pontoon shape dispensed with patch fenders and interposed footboards therebetween. 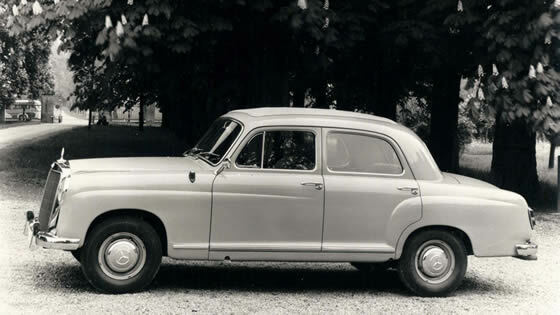 This offers Ponton models with the same external dimensions more space for the design of the interiors. 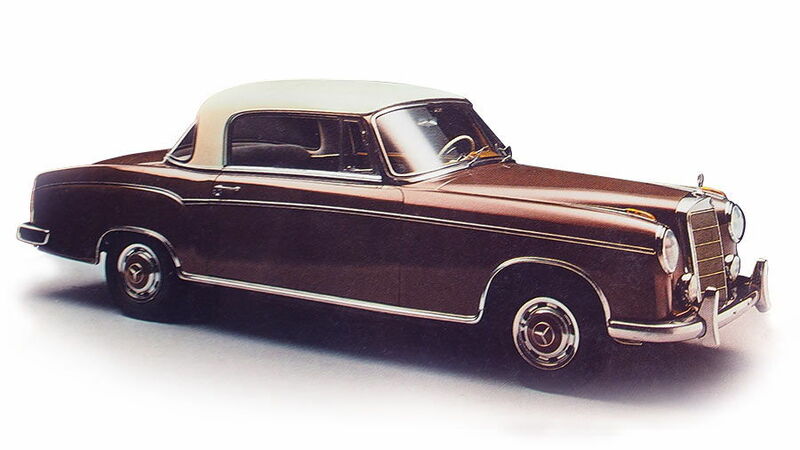 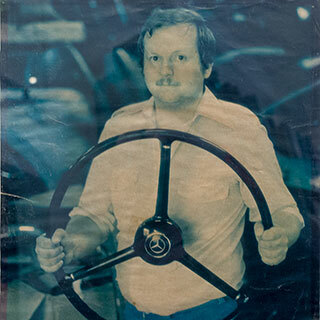 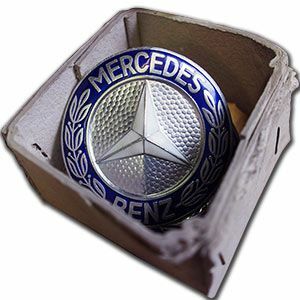 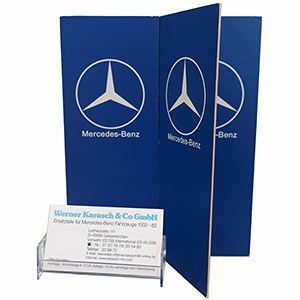 The Werner Karasch & Co GmbH provides for all Mercedes-Benz Ponton models W120, W121, W180, W105 and R121 an extensive inventory of original spare parts. 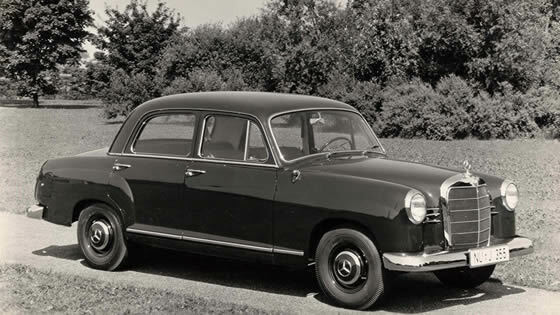 Extras: ab 1957 auch mit hydrau­lischem Kupplungs­auto­mat "Hydrak"